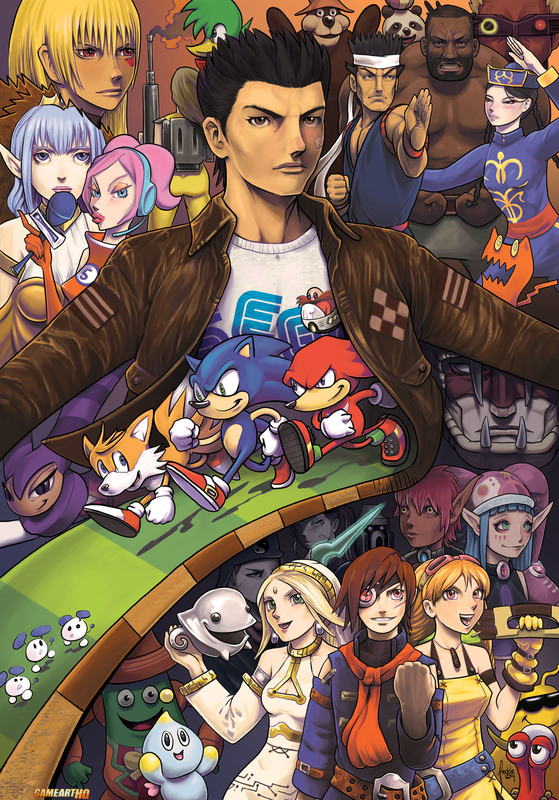 Sega Games Art Tribute Fan Art by Fedde! Can you name all the Sega Games characters illustrated in this fan art by Fredrik “Fedde” Mattsson he made for Sonic Speed; Art through the AGES, A SEGA fan Artbook? From where is that character there in the upper left corner and can you spot the cat from Chu Chu Rocket there? Kudos @ Fredrik for creating this and including some rarely remembered Sega characters!